Homemade lunches and dinner always seem to go out the window when my life gets busy. The key is definitely prepping in advance. I spent a bit of time this morning making this one-pan chicken and roasted veg to ensure I have some homemade lunches to bring to work. I melted coconut oil in a frying pan. Coated the chicken thighs with a tandoori spice purchased from a Indian grocery store. Seared both sides of the chicken thighs and placed on a parchment lined cookie sheet. Melted coconut oil to toss with the chopped vegetables. My veg mix included orange, yellow and purple carrots, beets, zucchini and red and yellow peppers. I also added finely minced red chilli, garlic and ginger for a bit of flavour. 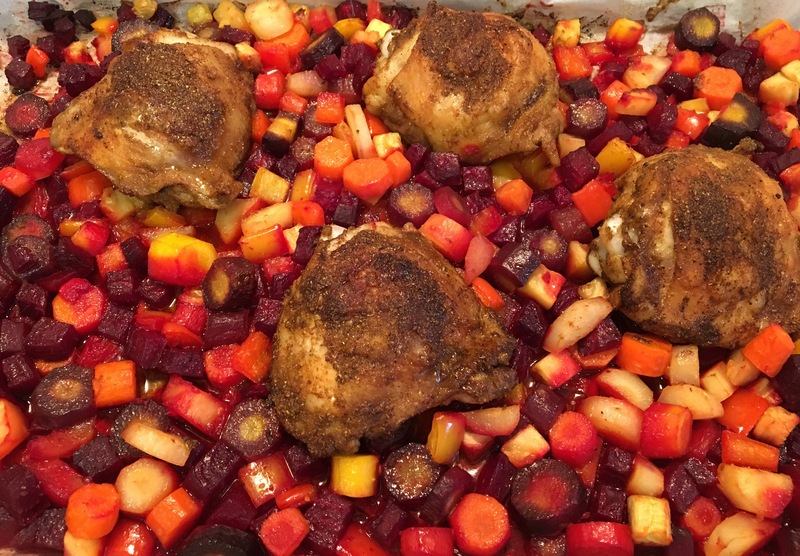 Combined the chicken thighs and vegetables on the the cookie sheet. Baked until fully cooked. While the chicken and veg were baking, I made brown basmati rice. 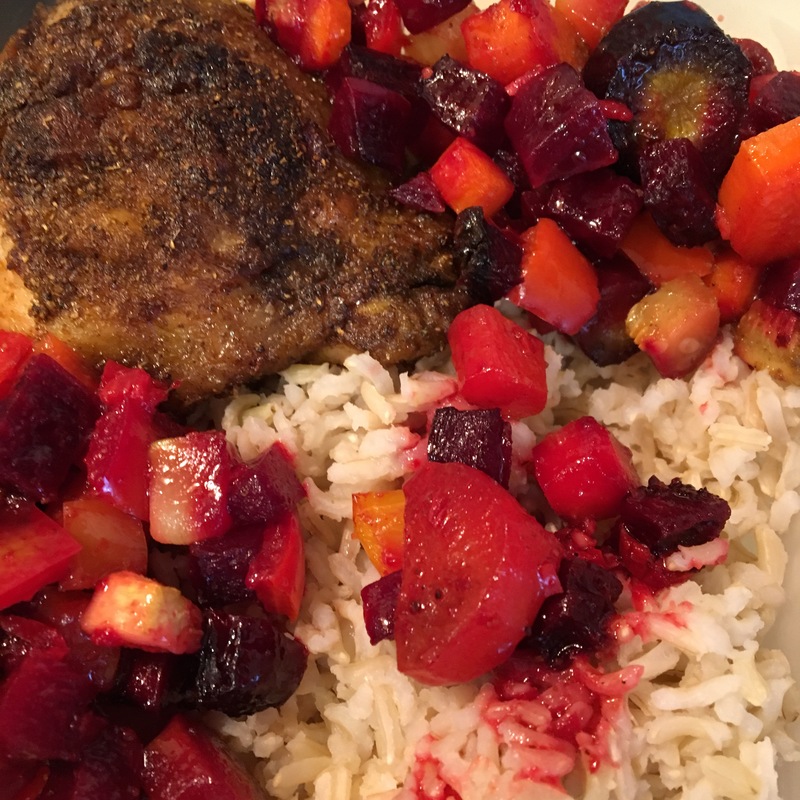 Once everything was cooked, I placed one chicken thigh, 1/2 cup of rice and the roasted veg into individual containers and froze immediately.